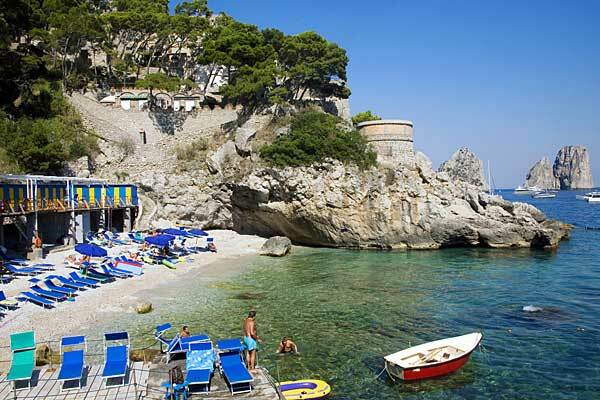 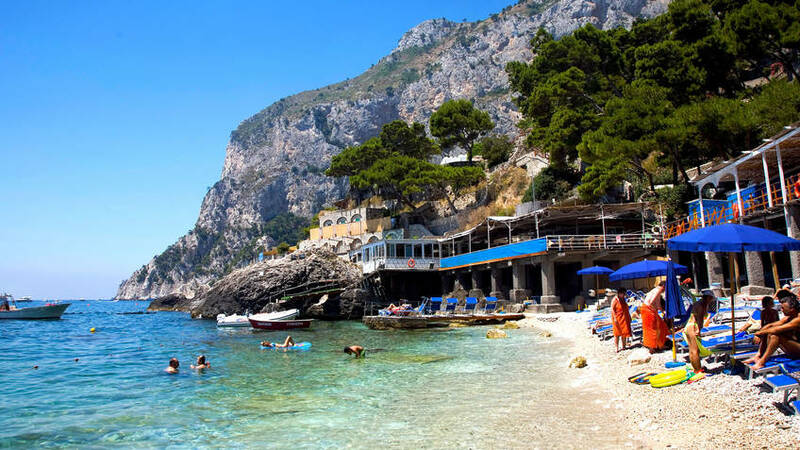 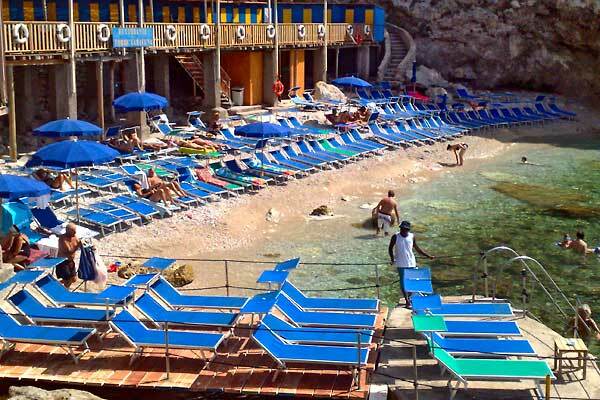 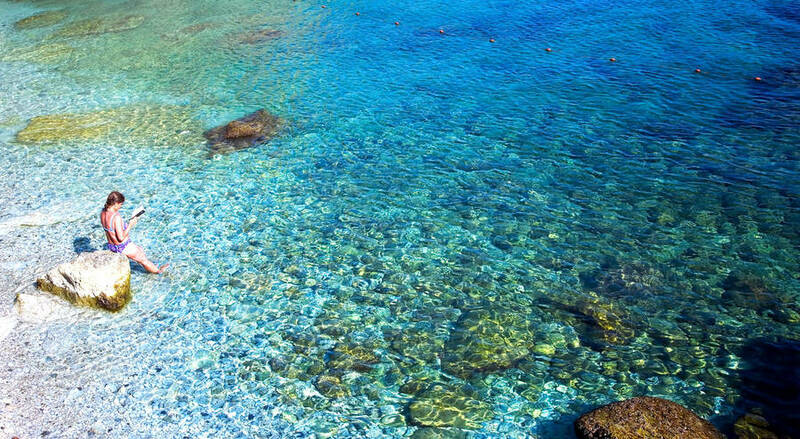 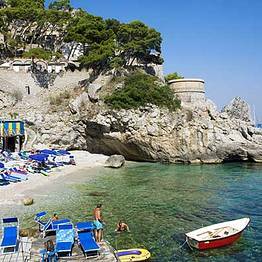 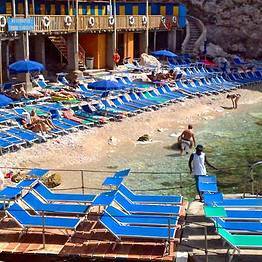 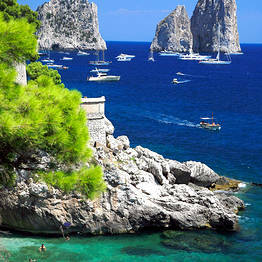 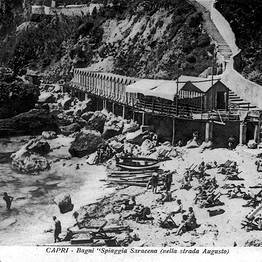 Torre Saracena, is one of Capri's historic bathing establishments and restaurants which, for more than a century, has been offering visitors to the island an enchanting place where to soak in the sun and enjoy the finest Mediterranean cuisine. 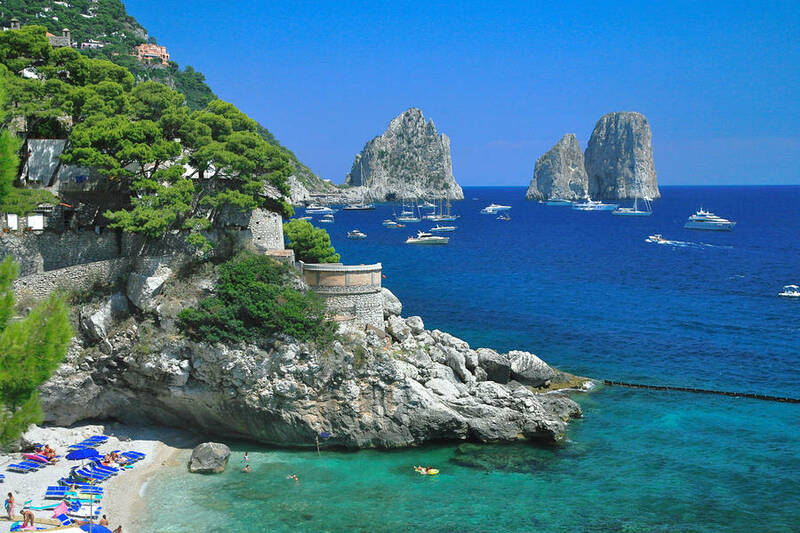 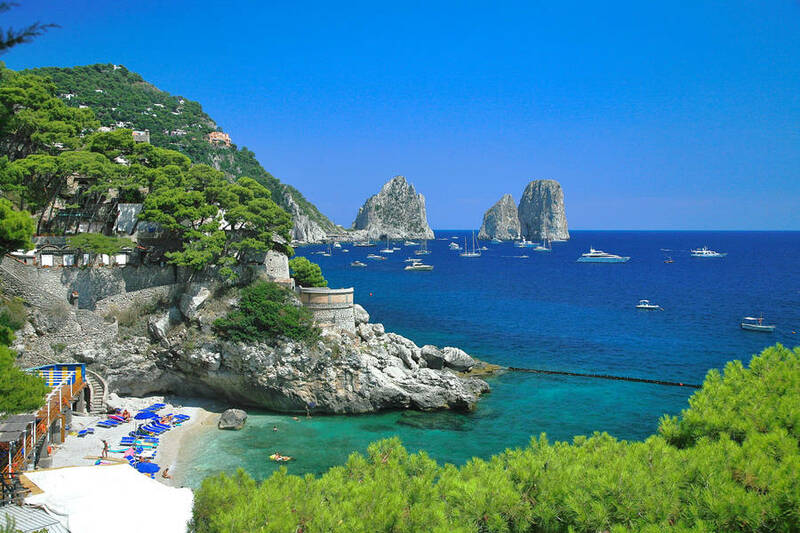 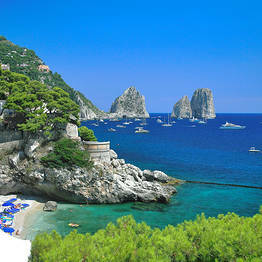 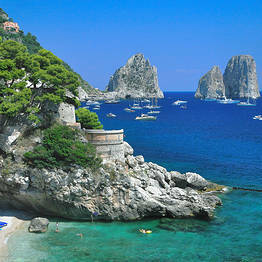 The Torre Saracena is located in the picturesque bay of Marina Piccola, with wonderful views across the water to Capri's majestic Faraglioni rocks. 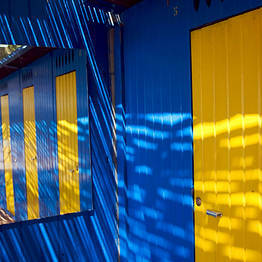 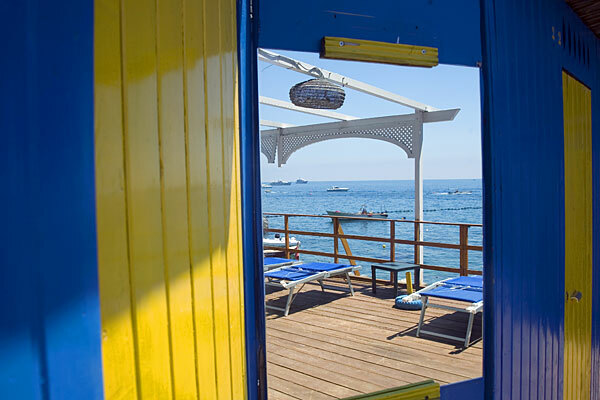 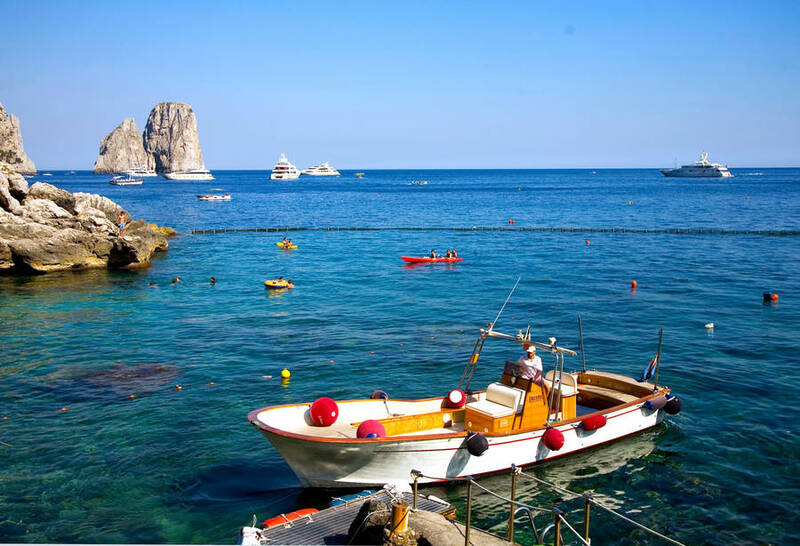 Torre Saracena is a family-run establishment headed by Giovanni di 'Pennaulo and his wife Raffaela who, together with Gemma and Giovanni, offer guests their own authentic brand of island hospitality. 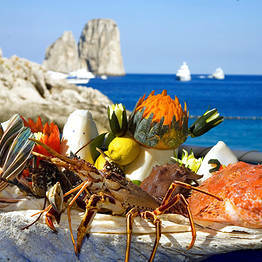 For over 3 decades, talented chef Domenico Guaraccino has been creating the most exquisite Mediterranean fare, presenting menus featuring mouth watering fish and seafood specialities and a number of wonderful dishes from Capri's historic gastronomic tradition. 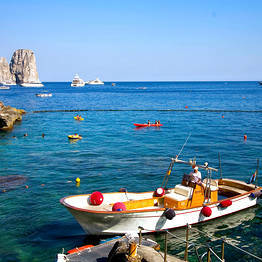 Torre Saracena offers a dreamlike setting for quite unforgettable receptions, gala events, and private parties. 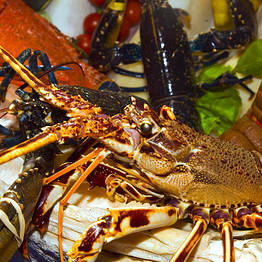 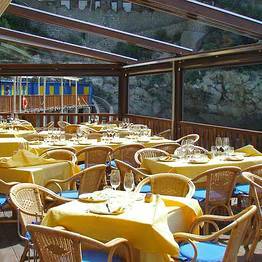 The restaurant is open for lunch every day of the week, from April to October. 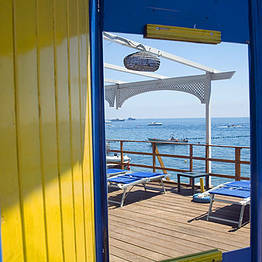 Torre Saracena is also open on Saturday evenings, by reservation only. 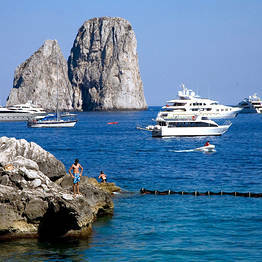 Piazzetta, served by the local bus service for Marina Piccola, "Torre Saracena" stop, or taxi. 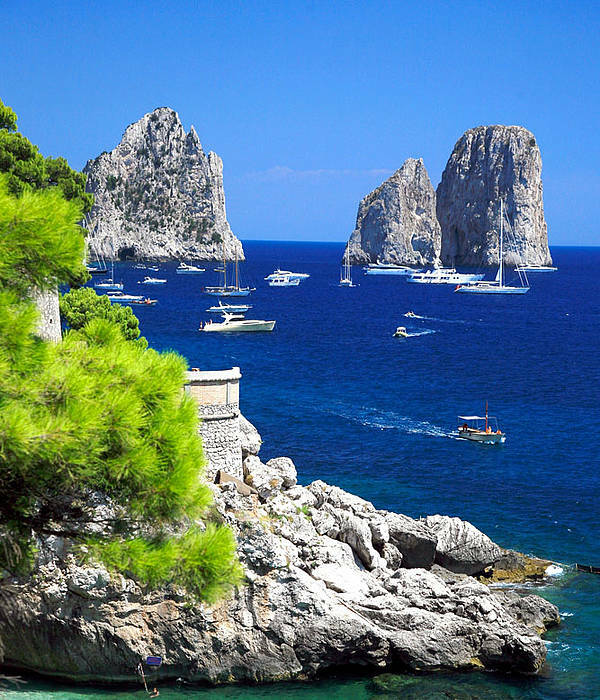 Alternatively, guests can reach the Torre Saracena by foot, strolling along one of the most enchanting itineraries of the island of Capri: the famous Via Krupp. 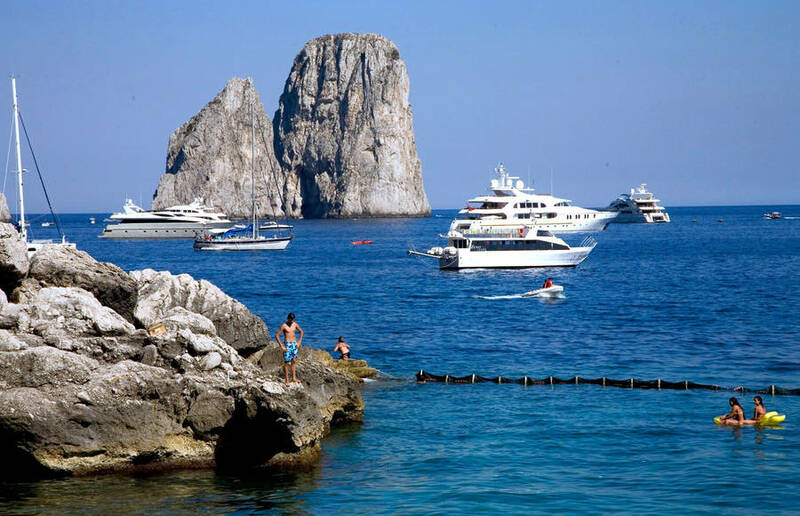 Weather permitting, for their return journey to Capri, the establishment provides a boat service transporting guests from the "Torre Saracena" to the Scoglio delle Sirene in Marina Piccola.